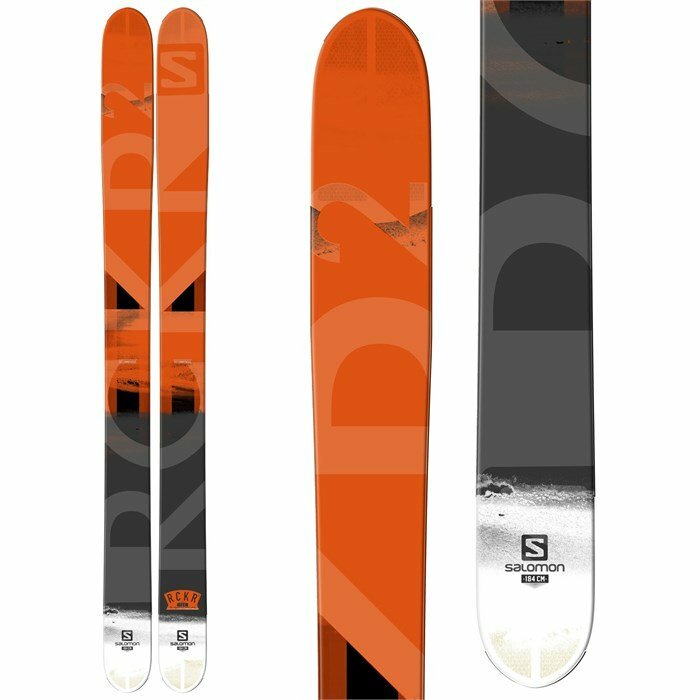 The Salomon Rocker2 122 Skis are feared and revered deep day menaces. These snow slaying pow sticks have what it takes to keep you afloat on the deepest days, so you can continue living the dream. Waist deep pillow line? No problem. Opening day face shots? Bring 'em on. The combination of Twin Rocker and a 122 mm waist provide maximum flotation while slight camber underfoot gives you the stability you want for responsive turns on harder snow. Honeycomb and edge-free tip and tail make for crazy low swing weight, so you can shifty your way to stardom. Take control of the mountain this season with the Salomon Rocker2 122 Skis. Twin Rocker  Long, low rocker shape at the tip and tail enables more playful, easy pivoting in powder and excellent flotation. Retains long contact zone on edge with camber in the middle of the ski for stability in all-mountain skiing. Full Woodcore  A full wood core from tip to tail creates a strong, stable, and responsive ski by maximizing ski to snow contact and filtering vibrations out. Honeycomb Tip & Tail  Super light honeycomb construction in the tail extremities reduces inertia to make the ski more maneuverable and playful. Reinforced with an ABS frame for durability. Provides more float, less chatter, and a reduced swing weight. Edgy Monocoque  Designed for freeskiing applications, with reduced excess material for more efficient energy transfer from skier to snow. Single structural layer of fiber provides optimal comfort, response, and maneuverability. Wide Edges  For durability and shock resistance.